Tunis, 9 November 2016 Following the announcement of the results of the US presidential elections and the victory of candidate Donald Trump to become the 45th president of the United States of America, Ennahdha is pleased to congratulate President-elect Trump on the trust given to him by the American people. Ennahdha Party stresses that Tunisia and the USA must preserve their common interests. 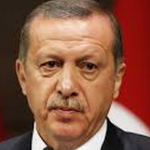 The new President-elect has an important role in managing American interests in the world and directing American foreign policy, particularly in relation to Arab and Muslim nations and causes, towards establishing peace and supporting the people of these nations in their movements towards freedom, democracy-building and development in their countries. November 10, 2016 Khaled Meshaal, head of Palestinian resistance movement Hamas, urged U.S. President-elect Donald Trump on Thursday to reconsider longstanding U.S. policy vis-à-vis the Palestine/Israel dispute. Speaking from Doha via video-conference, Meshaal made the appeal in a speech he delivered to the International Forum of Youth for Jerusalem held Thursday in Istanbul. Addressing the U.S. president-elect, Meshaal said, ‘There can be no stability in the [Middle East] region without recognizing the rights of Palestine’. ‘It would be wrong of Trump to give the green light to Israel to do as it pleases in Palestine… We urge him to reconsider his country’s policy of unqualified bias towards Israel,’ Meshaal said. Trump, the Republican party’s presidential nominee, decisively captured the White House on Wednesday, beating out Democratic rival Hillary Clinton. The Hamas leader also urged Palestinians to come together in defense of Jerusalem’s Al-Aqsa Mosque, asserting that Israel sought to change the city’s historical Arab and Islamic identity. 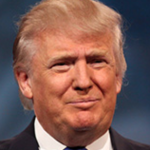 November 9, 2016 The Council on American-Islamic-Relations and other Muslim groups called on President-elect Donald Trump Wednesday to reach out to Muslims and other communities ‘impacted’ by his campaign rhetoric. ‘As citizens of this great nation, we accept the result of the democratic process that has bound us together as one nation,’ said CAIR national executive director Nihad Awad. As a press conference in Washington D.C. reacting to the presidential election outcome, Awad said that to CAIR’s knowledge neither Trump nor any member of his campaign had reached out to representatives of Muslim organizations since the result was announced. ‘It is our obligation as Muslims, as citizens, to be gracious and to communicate with the leaders of our country,’ he said. 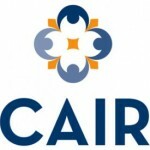 The Council on American Islamic Relations (CAIR) describes itself as “a grassroots civil rights and advocacy group and as “America’s largest Islamic civil liberties group.” The group was founded in 1994 by three officers of the Islamic Association of Palestine, part of the U.S. Hamas infrastructure at that time, and Nihad Awad was hired as the CAIR Executive Director. Islamic Circle of North America president Naeem Baig congratulated Trump on his ‘surprising victory’ and welcomed what he said had been a free and fair election process. Last night represented a tectonic shift in the American political landscape because of Donald Trump’s victory in the presidential elections and the cavernous divisions this particular race exposed. This presidential campaign did not create these divisions but reminded us of how changing demographics in our country have created fear and hysteria in parts of our nation, leading to unrest and a fractured society. Another indicator of this division is that Hillary Clinton won the popular vote by the slightest of margins, while Donald Trump won the electoral votes which determines who is president. We accept the results of the election because we believe in the principle of democracy and the peaceful transition of power. We have to deal with the presidency no matter who is in office and we have to engage all Americans no matter their political persuasion, their race or their creed. We, American Muslims, will be among those who represent the conscience of the American people, based on a vision of pluralism and equality under the law. MPAC’s engagement model is needed now more than ever. We will redouble on our principle of seeking common ground, whether with the left or the right. We will work with those who are disenfranchised and those who feel left out, with citizens and with government. We will base our relationships with all people and sectors of society on the principles of freedom, liberty and justice for all. That, in our minds and in our souls, is the truest path to unity as Americans. At this time, our work with allies in media, Hollywood and civil society will be more critical than ever to promote the truth that can liberate people from the shackles of xenophobia. Our allies in law enforcement will be our line of defense against any threat to our community. We will continue to engage all governmental and non-governmental sectors to establish common ground and defend our democracy.